At Galtymore Dental, every member of our team is committed to providing excellent dental care in a calm, friendly environment. We are a general dental practice, providing a wide range of treatments. Our principal dentist is Bill Cleary, who has more than 35 years experience having qualified in Dublin Dental Hospital in 1983. He worked in general practice in the UK before returning to Ireland in 1990. He took over Galtymore Dental in January 1990. Leo McElroy has joined our team. He qualified as a dentist from Trinity College Dublin. Worked in Northern Ireland before traveling. He has been with us since October 2017. 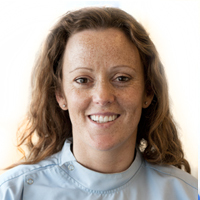 We have a hygienist – Michelle who has been with us since 2000 and who is highly-experienced . Our nurses -Sheila, Orfhlaith and Fiona and our reception staff – Marie, Sheila, Fiona and Orfhlaith will do their utmost to make each visit a pleasant experience, from making a convenient appointment to sending you a regular reminder. Our principal dentist is Bill Cleary, who has over 35 years experience having qualified in Dublin Dental Hospital in 1983. He worked in general practice in the UK before returning to Ireland in 1990. He took over Galtymore Dental in January 1990. Leo McElroy has joined our team. He qualified as a dentist from Trinity College Dublin. Worked in Northern Ireland before traveling. He has been with us since October 2017. Our nurses -Sheila, Fiona, and Orflaith. Our reception staff – Marie, Sheila, Fiona and Orfhlaith will do their utmost to make each visit a pleasant experience, from making a convenient appointment to sending you a regular reminder. Bill Cleary is the principal of the practice since 1990. Bill qualified from the Dublin Dental Hospital, Trinity College in 1984. He then worked as a general practitioner in the UK for five years returning to Dublin in 1990. 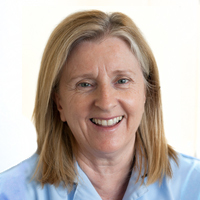 Michelle qualified from the Dublin Dental Hospital in 2001. She has been with us since 2002. She achieved her Certificate in Administration of Dental Anaesthesia in 2009 and is proficient in taking x-rays. 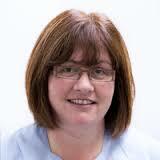 Marie Cleary is our practice manager and has been since 1990. She expects to be obeyed at all times. 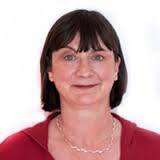 Sheila has worked in the practice for more years than she would like to recall! She was here before all the rest of us and keeps reminding us that she knows best! She is a qualified DSA.